Bring Your WordPress Website New Life! + Update to a Mobile-Ready & Responsive Design! working better for your business or organization. Below you can learn how we can help bring your website more visitors, bring additional clarity to describing your products and services, and make certain your visitors can easily find what “you” want them to find. WordPress Redesign & Theme Upgrade — You’ll be amazed at how adding a new visual theme to your WordPress site can quickly spice up the look & feel, and add new life to your existing website content. WordPress Themes are quickly evolving with added performance and learning to adapt and integrate with new apps and tools. Together we can choose a New WordPress Theme for your website that both offers the functionality your visitors are coming to expect, and the visual design that makes your website shine. Are you mobile ready? An additional and necessary benefit of upgrading your WordPress theme is that your website can now be mobile ready, and be transformed into an environment that is compatible for viewing on today’s mobile devices. Why Should My Website Be Mobile Friendly? Mobile traffic is expected to continue its increase. This inevitable increase in mobile activity translates to an increased need for WordPress users to ensure their site is easy to view on all devices—desktops, tablets, and smartphones—and without the need to build multiple websites. WordPress Themes are now built around ‘Responsive Design” and capable of adjusting to all devices! 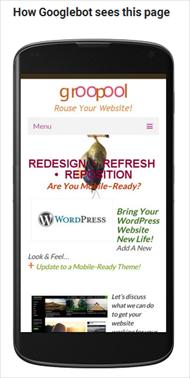 Learn More About WordPress Mobile Design. Content & Navigation Upgrade — If you want your visitors to return to your website, give them a reason to return. As your products and services evolve, your website should evolve with them. We’ll teach you ongoing methods to keep your site fresh for your visitors — and for the search engines. Those who discover your website are worth hanging on to. .
As we work with you to assess the effectiveness of content throughout your WordPress redesign, we’ll improve upon readability, calls to action and link guidance — to help visitors find what they’re looking for. and help define for your visitors who you are as a business. Google appreciates and rewards “fresh content,” — they know fresh content when they find it, and will tend to ignore websites that do not actively update and refresh their content periodically. We can reposition your rankings by moving through a proven Search Engine Optimization (SEO) Strategy. 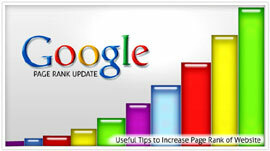 If your Google rankings have sagged over the months and years, there are a number of things that can bring your website back on to Google’s Page 1 for your specific search terms. Website Review and Analysis – We will review your current website search engine optimizations, and research who your online competition is, in order to take a customized and targeted approach to bringing your website back up into a competitive position with your Google rankings. 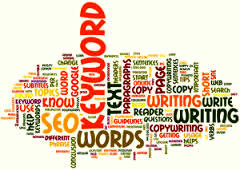 SEO Search Term Research – Finding which keywords and phrases can most benefit, and will integrate well into your current content focus for each page of your website. If we find that extensive content editing is necessary, we’ll run our recommendations through you for your approvals before proceeding. We know how to write for humans, and allow the search engine robots to take care of themselves. 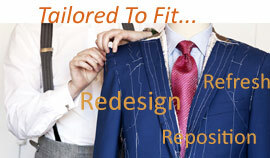 individualized for each page of your site. All of these hold the possibility for accruing a lowered score with the Google algorithms.